Duratrax Onyx 255 Dual Charger « Big Squid RC – RC Car and Truck News, Reviews, Videos, and More! The street price for the 255 is $109 , it has a part number of #DTXP4255, and they are expected to start hitting hobby shops some time in January. 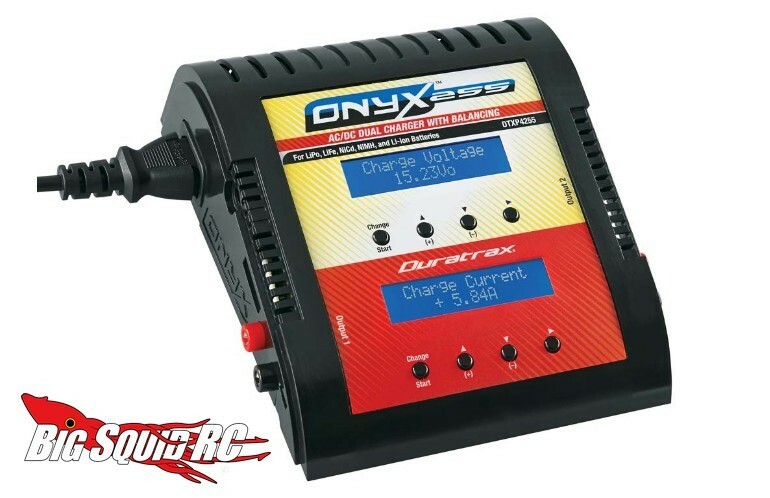 Click This Link to check out more chargers in the Duratrax line. Hit This Link for more Duratrax news on BigSquidRC.